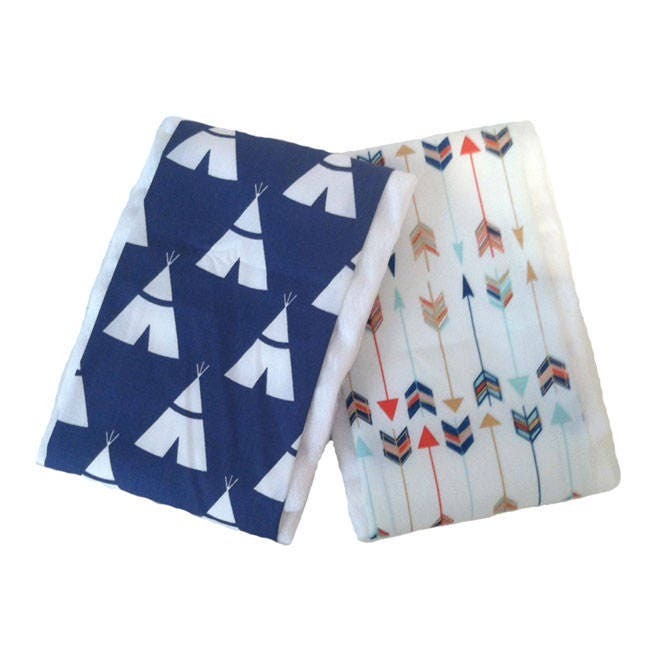 A beautiful set of two burp cloths with fabric center panels in fun "wild and free" boy prints. 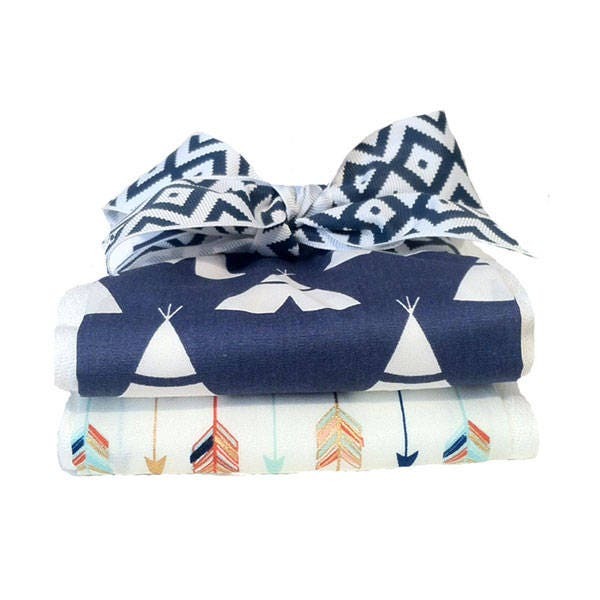 Features a white teepee design on a dark blue background and a companion burp cloth with multi-color arrows. Makes a great baby shower gift!